Many tenkara fishers seem to have trouble getting their ideal line. Making tenkara line by yourself is one way to get your ideal line. 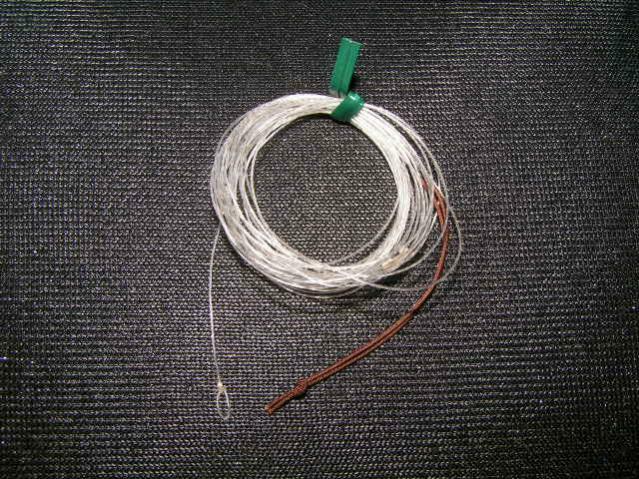 I am using my handmade taper line shown in the following photo, which is made of three monofilament fluorocarbon lines twisted together. In the pocket of my fishing vest are taper lines of five different lengths: 2.4m, 3.6m, 4.8m, 6m, and 7.2m. I show how to twist taper lines in my site, in Japanese though.